What Is Tauck River Cruising? 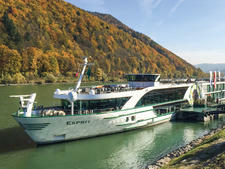 Tauck River Cruising is a luxury-oriented, all-inclusive river cruise line that sails entirely in Europe. It's a sub-brand of Tauck World Discovery, which began as a traditional land tour company in 1925 and offers upscale tours around the world. 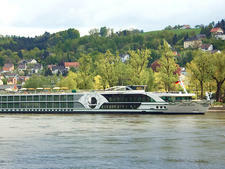 The company offered its first European river cruises in 1992 by chartering other companies' boats. In 2006, it officially launched its own fleet of riverboats. 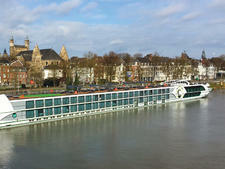 How many ships does Tauck River Cruising have? As of 2019 Tauck River Cruising has a fleet of nine riverboats. Where do Tauck river cruise ships leave from? Tauck's itineraries start from cities in Austria, Belgium, the Czech Republic, England, France, Germany, Hungary, Italy, Monaco, the Netherlands and Switzerland. Tauck may have a few days in a city before or after a cruise tacked onto the itinerary, with the actual river cruising starting later (for instance, no Tauck river cruises actually begin in Italy or England). Where do Tauck river cruises sail to? Tauck's river cruise itineraries travel through a large swath of Europe, including France, Germany, Austria, Belgium, Italy, Switzerland, the Netherlands, Slovakia, Hungary, Croatia, Serbia, Bulgaria and Romania. Which rivers do Tauck river cruise ships sail on? 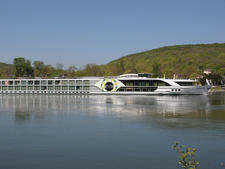 Tauck riverboats sail itineraries on the Danube, Rhine, Rhone, Moselle, Seine and Saone rivers. How do Tauck river cruise ships differ from each other? 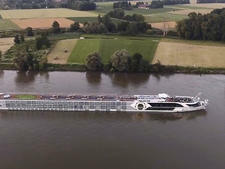 Tauck riverboats fall into two classes: five ships that are 361 feet long and hold 98 passengers, and four that are 443 feet long and hold 130 passengers. The look and feel of the two types of ships are similar and both have comparable public spaces, two restaurants and large cabins (including the 300-square-foot Tauck Suites). The main difference are the bigger ships also have a few cabins designed for solo travelers, two-level Loft cabins, and expanded gym, fitness and salon facilities. Who goes on Tauck river cruise ships? Tauck river cruises attract upscale, well-traveled professionals in the 55-and-older age range, with most people coming from English-speaking countries (and the United States in particular). Many passengers have been on Tauck land trips already. Select "Tauck Bridges" sailings are also ideal for multigenerational family groups, with family-specific activities provided onboard and during shore excursions. Do I have to dress up on a Tauck river cruise? The daily dress code on a Tauck river cruise is casual and comfortable, but at night the vibe is somewhat dressier with men typically donning slacks and button-down or collared shirts and women in slacks or skirts and blouses. On a one-week cruise, Tauck holds one gala night (more on longer cruises) for which passengers are requested (but not required) to dress up. Most do dress up, with men wearing jackets (though not necessarily ties) and women putting on dresses or adding dressier tops. The event is often held off the ship, at a palace or castle. T-shirts, jeans, flip-flops and sneakers are not permitted in main dining room in the evening, though these are allowed in the ships' alternative restaurant. What are Tauck River Cruising's most popular activities? A river cruise with Tauck is all about the destinations visited and so the excursions are the most popular activities by far. In most cities, passengers have a choice of sightseeing options that range from walking tours to tastings to museum visits. Onboard lectures also typically draw a crowd, as does any destination-specific entertainment (local dance or folk music troupes, as an example). Is everything free on Tauck river cruises? Cruises with Tauck are all-inclusive affairs, with almost everything included in the cost of the fare. Included are all meals, shore excursions, all drinks (including unlimited beer, wine and spirits), transfers, crew gratuities, Wi-Fi, onboard lectures and entertainment and, occasionally, pre- or post-cruise hotel stays. You'll pay extra for spa treatments, laundry and any items from the small onboard gift shops.